For the most part, farmers aren’t Second Amendment nuts. To a farmer, a gun is a tool like any other. If you have rats in the feed shed and the cats can’t keep up, a .22 rifle becomes a handy tool. If crows are gobbling up your chicken feed, a little warning shot with a shotgun loaded with birdshot does wonders. 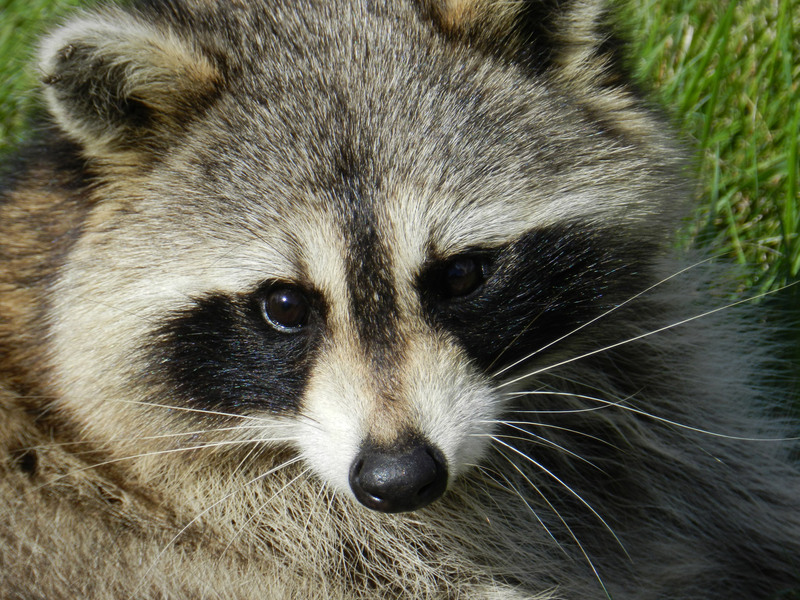 Raccoons can wreak havoc on you birds and will only laugh at you if you try to scare them off with a hockey stick. This was actually the straw that broke the camel’s back as far as my ex-wife and guns go. She wanted no part of having guns in the house when our kids were small. But when a raccoon got into her duck pen late one night after sniffing around it for days, there was nothing to be done to save the ducks as they were systematically mauled as the raccoon attempted to escape. Having to mercy kill three of her pets was enough for her to change her mind. The farm would get two new tools. The first was a single-shot .22 rifle that was at least 100 years old. It had belonged to my grandfather who I’m sure carried it as a lad in Italy fighting beside Garibaldi. The second was a small 20-gauge shotgun. I always kept the ammo locked up and away from the guns, but I also wanted the kids to learn about them and how to use them. 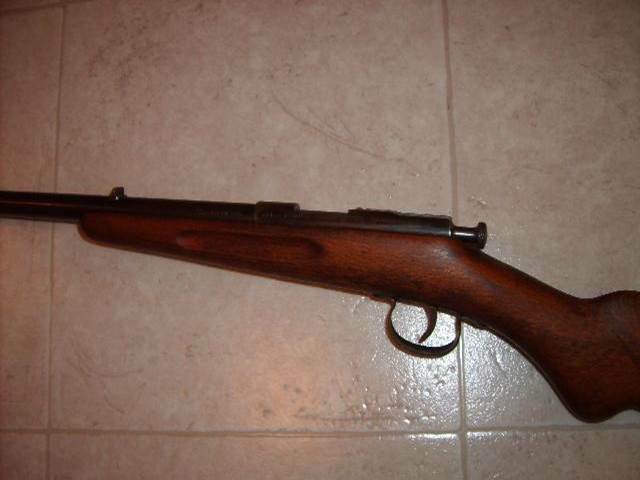 My grandpap’s .22 used to sit in the corner of his house when I was growing up. He was pushing 80 and loved two things; playing crazy Italian card games, and his garden. His half-acre garden could feed a small African nation, and he usually gave away all the produce. He could see directly into his garden from his kitchen windows which opened outward. The only time I’d ever hear him speak Italian was when a rabbit was in his garden eating his lettuce. How he could see the rabbit with his half-inch thick coke-bottle glasses I never knew, but he would let loose with a string of Italian swear words ending with “Get the gun, boy!”. I’d get the gun and the shells and he’d load it. It only took one as I don’t think I’d ever seen him miss. After he’d tell me to put the gun away and “Go get the rabbit, boy.”. We’d skin and clean it and wind up having it with polenta for dinner. Personally, I don’t hunt, which puts me in the vast minority of Pennsylvania males. Not because I’m some kind of bleeding heart animal activist, but because my dad didn’t hunt. If your dad doesn’t hunt, and you don’t have any uncles around to indoctrinate you, you probably don’t hunt either. My readers know of my tendency to stretch things, but on this subject, I’m not exaggerating, there are more hunters in Pennsylvania than in any other state. We get the first day of buck season, theMonday after Thanksgiving, off from school as all of the males and half the females wouldn’t be there anyway. Hunting is critical for the health of the deer population (if not the individual deer), otherwise every farmer would be out of work and the roads would be like something out of Mad Max. Last year, 350,000 deer were harvested, and this number keeps going up. Pheasants, rabbits and other small game are also hunted as are turkeys and even black bears. So I’m not a hunter, but my dad was a butcher. Each year, he would cut up dozens of deer from his buddies who shot them. As payment, my dad would keep some of the meat, so I typically ate more wild game than anybody I knew. Anyway, we now had two guns on the farm and were ready for the next attack if it ever came. I took the kids into the fields and set up target ranges to teach them how to handle the .22. This had no scope, so you had to use the front and rear v-sights. Both of them got pretty good at shooting coke bottles at 50 yards. One Fourth of July, we had some British guys that I worked with come to our house for a picnic. At first, they couldn’t believe I owned a tractor (a small British-Leyland) and each of them wanted to drive it around the fields. I told them to at least put the brush hog down so that they’d be doing something useful. After eating, I told them that it was time to shoot guns. Brits, like the rest of Europe, do not have easy access to firearms. They were fascinated and loved shooting. 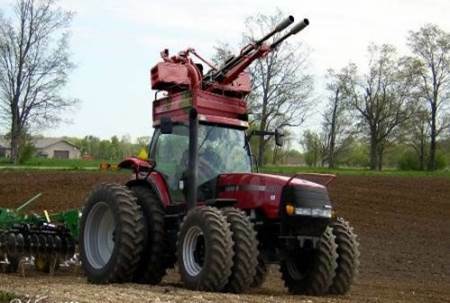 I’m convinced that if you live a good life, the Church of England preaches that you will go to heaven when you die and immediately be issued a tractor and a gun. The only thing I ever killed in anger was a raccoon (maybe the same one that got the ducks) that had infiltrated into the chickens. I heard the squawking, grabbed the .22 and five shells. It only took one. I also used it to cull the roosters after our chicks had grown up. I managed to catch 5 of 6, but the last one was wily and eluded capture. As they were all going into the pot anyway, I decided to take the last one out with the .22. He was in a thicket of trees, but I got a clear shot and took him out. What I didn’t know was that just behind him was one of the hens (my ex-wife’s favorite), and I got her with the same shot. Not happy. I had to put down one of our goats once who got some kind of joint disease and couldn’t walk anymore. I really liked this goat Tommy,, so it was a long walk out into the field. I dug a grave and buried him, but the neighbor’s lab was watching me and dug him up. In the spring, I found a goat skull up in the field where the dog had dragged it with a perfect .22 hole in the back of the head. The only other use for a gun was to make noise on New Year’s Eve. 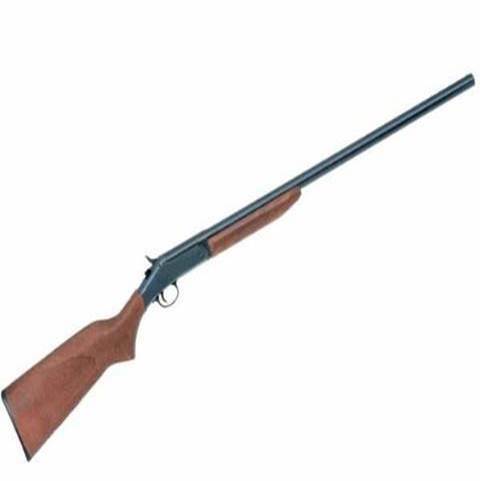 At the stroke of midnight, we would go out onto the front porch and shoot off the .22 and the shotgun into the air. At the same time all my neighbors (about 12 in a square mile area) were doing the same thing. I could usually make out four different fully automatic weapons being discharged. There wasn’t much crime in our township. The ex-wife was an aspiring poet. She was really an RN, but she was taking classes toward an English degree and found she had a knack for writing poetry. One of our summer picnics, she invited a bunch of women from the Pittsburgh poetry scene including their unofficial leader, this rather large, pompous woman who didn’t think much of our rustic little farm. I’m not much of a political animal, but these people were somewhere to the left of Trotsky. When I mentioned that we were going to shoot guns, they almost rioted. I asked them, “Have you ever shot a gun before?”. Lots of angry denials and condemnations followed, but I retorted, “The how do you know whether you like it or not?”. Their queen rose up and said, “He’s right. Give me this gun.”. So I took her down to the range and showed her how to load the shells, how to sight it in, and how to shoot it. She hit a 2-liter Coke bottle dead center from 50 yards with her first shot, and that was it, she was hooked. She immediately wanted to know what other guns I had, but wasn’t much interested in the shotgun. I had to admit, she was a decent shot. When I hinted that she might give somebody else a turn, she gave me the “you’ll have to pry it out of my cold dead fingers” look. Charlton Heston would’ve been proud.